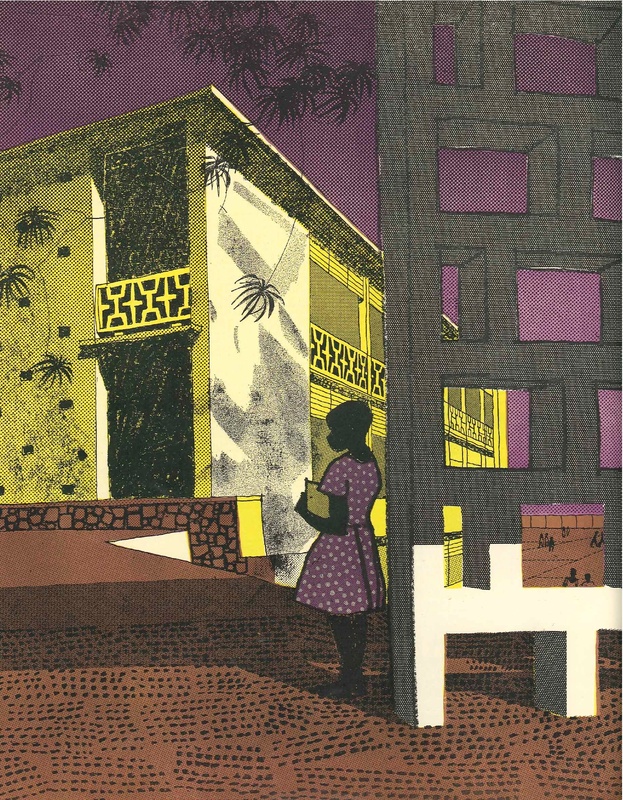 Maxwell Fry and Jane Drew developed the use of perforated screens in their West African ‘tropical architecture’. Designed to provide a sun-break whilst encouraging much-needed cross-ventilation in the hot and humid environment, the brise-soleil also provided an opportunity to add decorative forms to otherwise basic structures. African influences – described in rather general terms by Fry and Drew as strong forms and colours – were used to bring regionalism to their imported modern ideas. Variants of sculptural ‘African’ forms are used in each of their school, university and hospital projects to provide an instantly recognizable Fry and Drew motif. Over the coming weeks images of these buildings will be posted. Below, Gordon Cullen’s sketch of bold forms and strong shadows emphasizes Drew’s words. 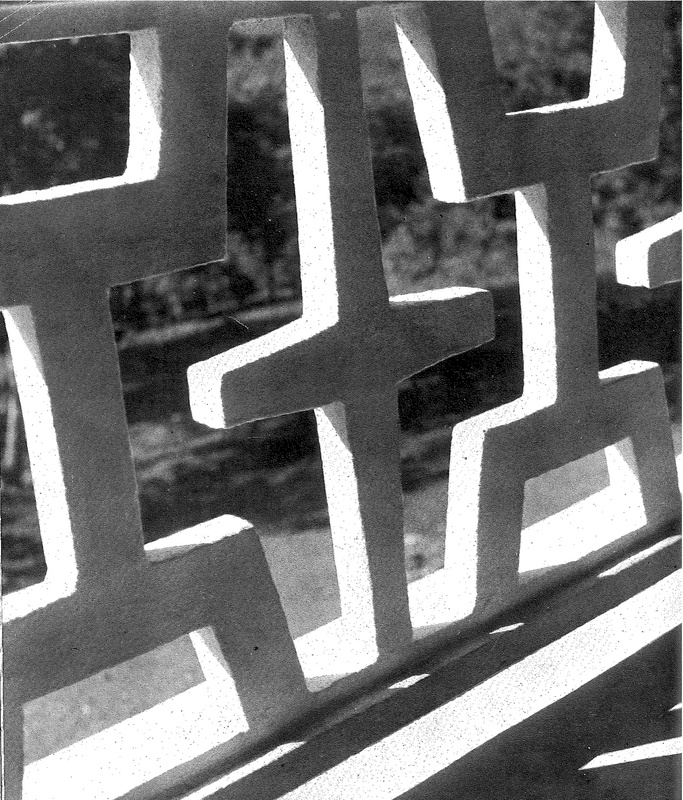 These images are taken from an article on Fry and Drew’s ‘African Experiment’ published by Architectural Review in May 1953 and show the perforated balustrade designed for the Adisadel College extension at Cape Coast, Ghana.